Are You Completing An Age One Dental Exam? The American Academy of Pediatric Dentistry clearly states its opinion on when to start dental care for children: “In order to prevent dental problems, your child should see a pediatric dentist when the first tooth appears, or no later than his/her first birthday.” Does it have to be a pediatric dentist? No. It does need to be a dentist completing age one dental exams. Not all dentists choose to do this, but they should recommend this for any child. If a dentist is not comfortable seeing patients at this age, a referral should be given to a pediatric dentist or another general dentist. Because early intervention saves a lot of pain and suffering, and I am not just talking about the child’s pain and suffering. I am talking about parents who beat themselves up for not knowing how to instill proper dental routines and diets in their child’s development. I have seen parents tear up because they have felt so badly about the cavities and infections their child endured because they did not know enough about oral health. Sedating a child and removing teeth on a two or three year-old is not really fun for anyone—especially a well-intended parent. Dentists have the knowledge to guide parents into a disease-free zone. We see the common errors parents make with their kids’ health. One of the most understood disease causers is fruit snacks. Child after child comes to our office with cavities caused by fruit snacks. Great marketing helps parents believe the ‘fruit’ part in fruit snacks may be healthy. Not really. A little preventative talking and examining can save a lot of pain, suffering, and expenses. Taste training struck a chord with me. Yes, we do have to teach our kids what to eat. Who wouldn’t choose Cheetos and chocolate chip cookies to eat over fruits and vegetables? Children do not know the health repercussions of an unhealthy diet. Dentists do. Dentists see the decay. Dentists see the erosion on teeth. Dentists see the diabetes and cavities combo. These oral health indicators of overall health and poor diet are right in front of us. We see the repercussions of a lifestyle of no taste training, and we must tell parents early on in their child’s development. “I love the idea of the dentist talking about that at the age one year visit. That’s fantastic,” cheered Karen Le Billon. So do I, Karen. Now, we have to make sure all dentists ensure an age one visit occurs for all of their patients, and we have to ensure all parents know dental prevention begins at age one. Listen to my full interview with Karen on my YouTube channel. Click here. It will be well worth your time. Dentists, do you need some help with what to do at the age one visit? Let me help. 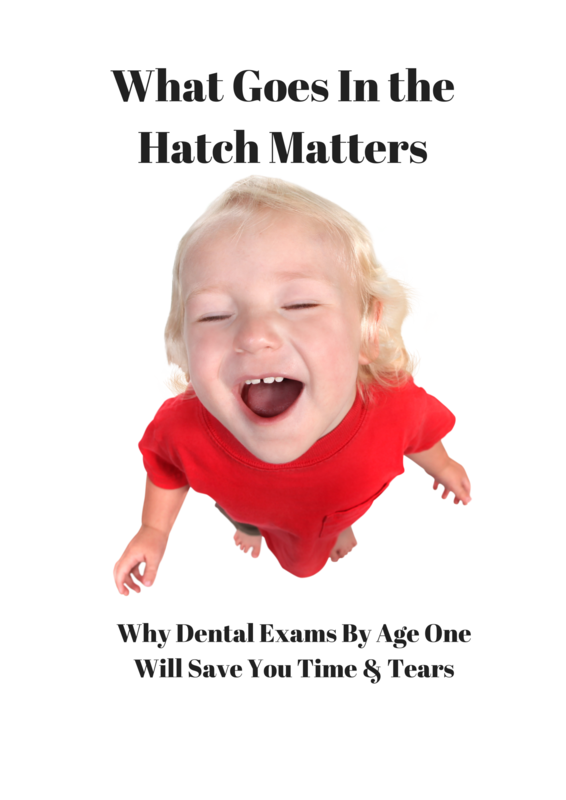 Email me at IntentionalDental@gmail.com, and I will give you a free copy of an age-one exam form, along with my tips and pointers for a successful early age visit. Dr. Lisa Knowles is the C.E.O. of IntentionalDental Consulting in East Lansing, Michigan. She studied Communication at Alma College and graduated from the University of Michigan School of Dentistry. She speaks nationally on the topics of communication, whole health, and leadership within the dental office. Visit her website at IntentionalDental.com or email her at IntentionalDental@gmail.com. Phone her at 517-331-3688.